In order to find the good stuff you must go downtown, into the marketplace. Even with blonde hair, green eyes, and TOURIST written across my forehead. I put up a hard bargain and was able to score some pretty awesome finds. 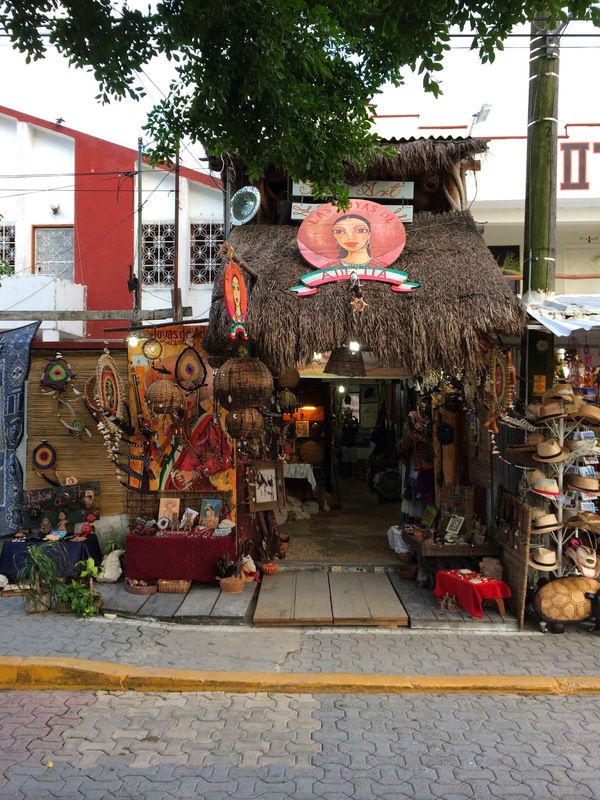 This little jewelry & art shop, Adelita, was worth the entire trip. Almost the entire collection of jewelry is made by the shop owner and his son. It's the kind of place you want to stay a while. Which we did and went on to embark upon much more than just jewelry. Sometimes you meet people who make you want to do more/live more/see more, just be a little more than who you are right now. This man is one be one of him, make sure to visit. I'm not much of a journal writer, but after going into town and finding this little gem of a notebook how could you not. It was actually really nice to write down our journey as we went along. I can't wait to look back on that journal years from now. This leather cross body is probably my most prized find of all. Coming in at a cool 20 bucks, I had to bite my tongue in order to keep my composure. I was super bummed I didn't find this honey hole sooner, as we were nearing the end of our trip and running out of cash. Negotiations are not quite the same when bargaining with plastic. Cash is King. Plus, the greatest satisfaction came when leaving the airport and seeing the exact same bag for $395. NOT KIDDING. Coqui Coqui was pretty amazing! You just feel cool when you are there. It has a really chill vibe, very European. Tobacco ended up being my new signature scent. I layer this with my everyday Amber essential oil and if I'm really feeling myself I might throw in a little Santal 33. I have been dying for a statement necklace and this one fit the bill quite nicely. Hand crochet with vintage Mexican coin, this treasure is apart of Coqui-Coqui's signature collection. bohoBlack Tulum trip please!!!! SOON!